Amazonite is one of my very favorite stones, and this black amazonite is no exception. 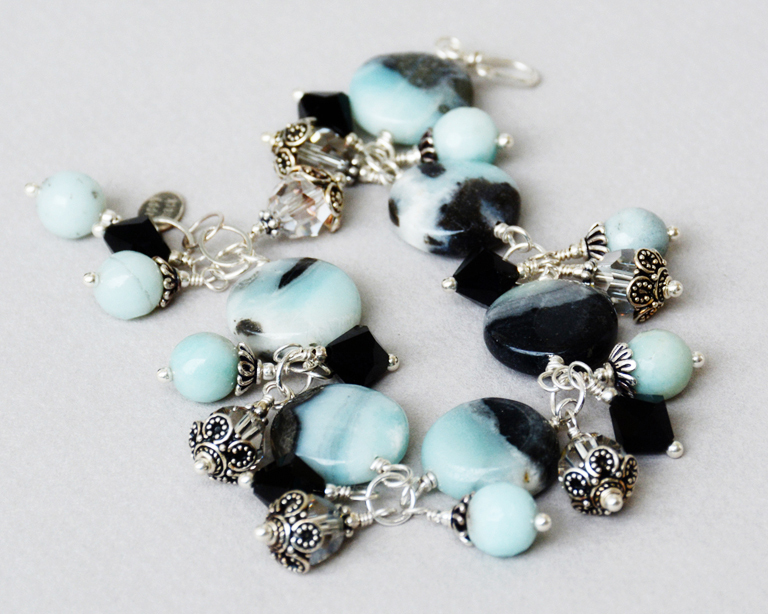 Here I'm combined black amazonite coin beads with smaller amazonite rounds and Swarovski crystals and wrapped it all up with sterling silver accents. It's finished with a hand-forged sterling clasp and signature Happy Shack charm. It will fit a 6 1/4" - 7" wrist and can be adjusted if needed. View the piece in my Etsy shop here for additional photos.